Cut ham into slices, fry in a pan, and add red wine. When the wine is boiling away, pour out the broth, add salt and pepper, and simmer for 35 minutes. Stew the remaining broth with butter and flour. Boiled beets, put in a frying pan, and fry, adding salt and pepper. Pour in balsamic vinegar, and after the vinegar has evaporated, turn off the heat. 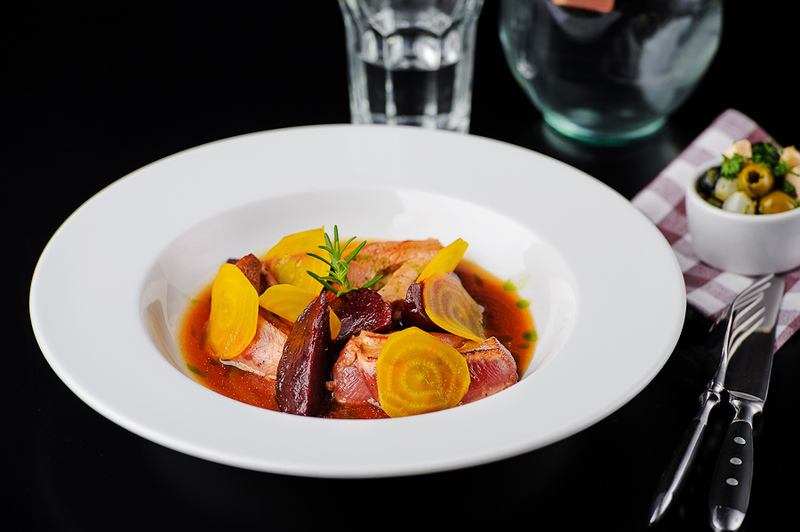 Place beets, stewed ham in a thick sauce on a plate, and sprinkle with fresh rosemary.